Eclipse Legal Systems, the sole Law Society Endorsed legal software provider, is implementing its Proclaim Practice Management Software solution at Stenfield Solicitors, a niche practice specialising in debt collection and dispute resolution. The specialist firm, established in 2004, acts for a range of clients – from sole traders to large corporate companies – across a variety of industries to recover money quickly and efficiently. The practice prides itself on its friendly and cost-effective service, and believes its expert team is the reason for its rapidly expanding client base. 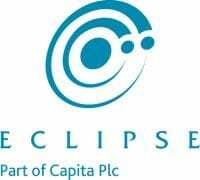 Eclipse will implement its Proclaim Practice Management Software solution, incorporating a comprehensive accounting and financial toolset with an out-of-the-box Debt Recovery Case Management system. Fee earners will benefit from a completely centralised desktop application, ensuring consistency and security firm-wide. Additionally, Stenfield Solicitors will benefit from Proclaim’s integration with the County Court Bulk Centre (CCBC), enabling staff to submit claims seamlessly through the Secure Data Transfer (SDT) portal without leaving the Proclaim desktop. This will serve to increase case volume and reduce administration time, as manual processes associated with claim submission will be automated and therefore, significantly minimised.